Through its capacity building, training and support programme, the centre aims to enable rural communities to manage their own Community Advice Offices and outreach programmes, and to access government policy initiatives and processes. Rural communities acquire a sustainable community managed resources to respond to their to respond to their legal and human rights violations as well as a skilled as well as a skilled team of representatives to contribute toward policy formulation/change processes, assert their development needs, and monitor the effective delivery of services by the government and other service organisations. Training takes place in the form of workshops/dialogues, lectures and on-site practicals. 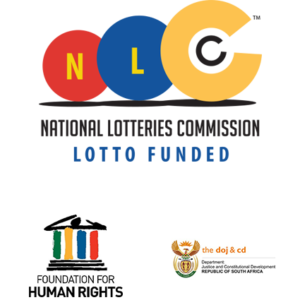 The centre implements multifaceted community human rights awareness programs, geared toward meeting the need expressed by the rural communities for information and training on the South African Constitution and Bill of Rights. It provides community-based trainers with training and publications that will enable them to conduct workshops at the community level and distribute the publications.